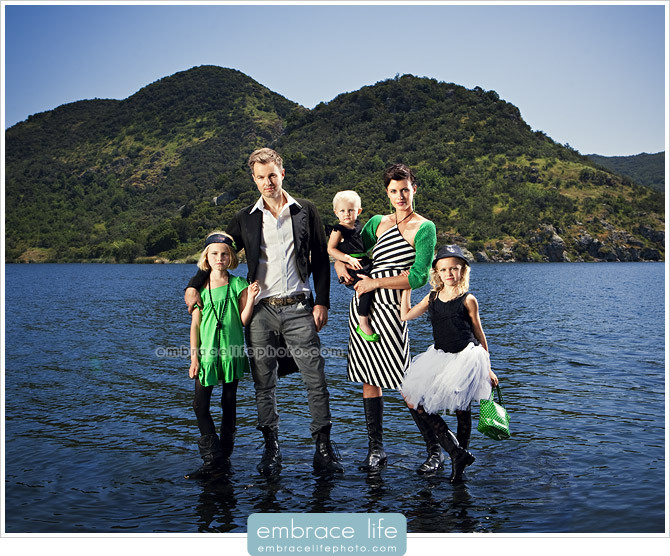 Last week we shared the first photographs from our lake photo shoot. Today we are excited to share an incredible family portrait from the same shoot. Again, we have to say thank you to the amazing team that helped us pull of this unique family portrait. We’re so grateful to all of you for your time and hard work. Thank you! There’s still more to come from this lake shoot, so stay tuned. In case you missed it, check out the first of the series, our portraits of musicians, Karmin. I love it! This came out great. What a photogenic family. I also loved the shoot you did of them in their home. Such fantastic pictures! OHMYGOSH, this is so BEYOND awesomely cool!!!! Dude I want you to shoot my family on the water. Except our kids would probibly splash around like mad. This is rad bro. Seriously a amazing photo.